Expatriate health insurance is an important consideration for both clients and assignees. Employees relocating to international locations for extended periods of time should have access to quality health care. Expatriate health insurance options and costs may vary greatly depending on assignment location. Employers may need to consider the range of relocation benefits they provide for their mobile workforce to account for expatriate health insurance needs. Now Health International, an international insurance provider, conducted a survey that included a question about expatriate employee’s attitudes about health insurance coverage. As reported by Relocate Magazine, the survey found 25% of respondents did not have health insurance because they were currently healthy and believed they would not fall ill. Many respondents live and work in many well-developed locations such as Hong Kong, Singapore, and Thailand, and several believe they have coverage in their new country’s state healthcare system. However, many countries are working to limit medical care for expatriates to only accident and emergency coverage. This trend could leave expatriates with large, unreimbursed healthcare costs if they do become ill. Some countries provide good expatriate healthcare options, based on the medical resources they provide and their level of industrialization. In its most recent Expat Explorer 2017 Survey, HSBC found that healthcare standards and the ease of setting up healthcare are seen as best in France, Malaysia, and Australia. As noted in the survey, better healthcare standards is a key reason that 58% of expatriate retirees have moved to France, and 53% of all expatriates in France say their physical health is better than it would be at home. Other countries such as Taiwan provide a national health insurance system which expatriates can join and are well-known for high satisfaction with healthcare affordability. Alternatively, countries such as the US, which spends a large amount on healthcare, may have less satisfaction with cost, access, and quality of care, according to the Organization for Economic Cooperation and Development. Talent Management and HR reports that employers should offer health insurance benefits because it is a strong factor in employee attraction and retention. This applies to expatriates as well. The fact that assignees are located in an international setting does not reduce their interest in health insurance. Insurance companies such as Expacare provide several international health and medical insurance plans for expatriates. 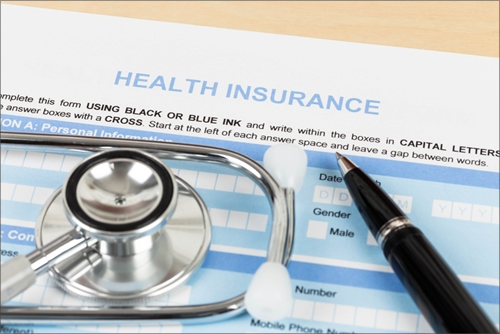 Although many employers might believe expatriate health insurance would be cost prohibitive, several have found options that meet their needs. With many countries looking to limit access to their national health insurance programs, out of pocket medical costs might be even more prohibitive if expatriates are left without health insurance coverage. Employers should consider expatriate health insurance as they develop their relocation program. Assignees should have access to health care without worrying about prohibitive out of pocket costs. A wide range of options are available for expatriate health insurance. The global relocation experts at Global Mobility Solutions (GMS) have the knowledge and expertise to help your company understand the options available for expatriate health insurance. Our experts can also help your team understand and communicate information about health insurance to your assignees to provide them with the best relocation experience. Contact our team of experts online or call us directly at 800.617.1904 or 480.922.0700 today.